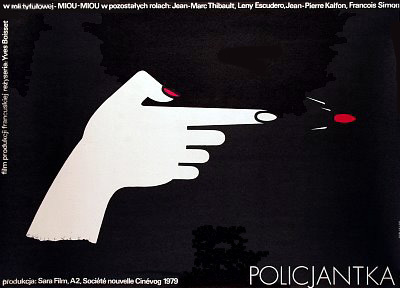 This exhibition consists of the Polish graphic designers’ posters promoting the French comedies. They were created for the films of such well-known and appreciated, also in Poland, directors as: Jean Girault (a creator of an unforgettable character of a gendarme Cruchot - played by Luis de Fun?s), Claud Zidi (also cooperating with de Fun?s) or Philippe de Broca, who directed inter alia ‘Dear Detective’ and ‘That Man from Rio’. These posters deserve a separate exhibition thanks to the peculiar sense of humour of the French directors, which determines the characteristics of comedy posters. Expressive, legendary film creations come to the fore, created in a grotesque convention and an avant-garde absurd, which were developed undoubtedly in France. The works designed for the comedies by poster artists are particularly interesting in the context of People's Republic of Poland, where laughter was one of the leading and the most effective way to cope with the repressive reality. Feel encouraged to take a look at the exhibition from the anthropological perspective: to the audience of and posters’ creators for French comedies, the laughter - free of a political satire - was a liberating and purifying experience.